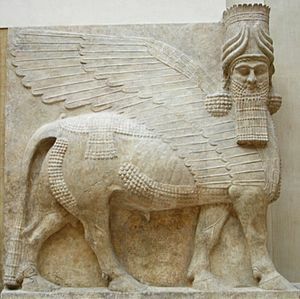 An Assyrian winged bull, or lamassu. 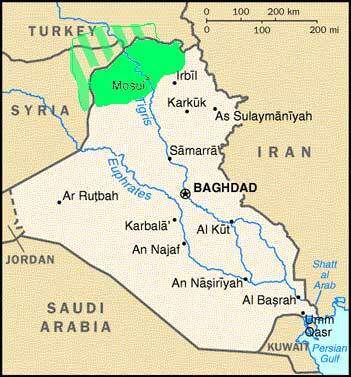 In the Middle Bronze Age Assyria was a city state on the Upper Tigris river, named after its capital, the ancient city of Assur. The Assyrians were just to the north of their rivals, the Babylonians. All the kingdoms of ancient Mesopotamia used the cuneiform writing system invented by the Sumerians. Assyrians are an ethnic group whose descendents remain in what is today Iraq, Iran, Turkey and Syria, but who have gone to the Caucasus, North America and Western Europe during the past century. Hundreds of thousands more live in Assyrian diaspora and Iraqi refugee communities in Europe, the former Soviet Union, the United States, Australia, New Zealand, Syria, Jordan, and Lebanon. 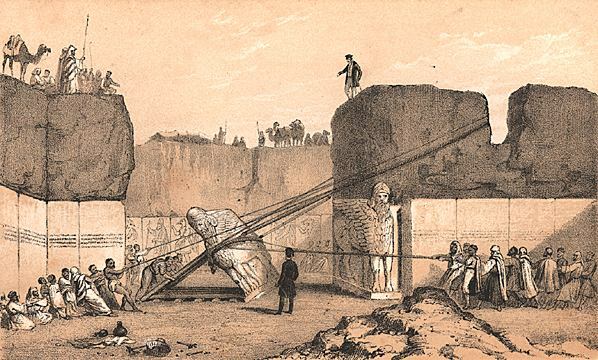 Assyria Facts for Kids. Kiddle Encyclopedia.